It’s not so much a welcome as a way of marking territory, one Fox insider told TheWrap Friday, three days after Disney closed its $71.3 billion acquisition of 21st Century Fox’s film and TV assets — and two days after it started layoffs that are expected to cost as many as 4,000 Fox employees their jobs. The person said a “surreal” day of layoffs Thursday began with the unfamiliar sight of two black Teslas parked in front of Fox film’s Building 88 in spots that are not normally reserved. To some Fox employees, they were harbingers of a dark day to come. Among those let go were Fox head of distribution Chris Aronson and president of international distribution Andrew Cripps. 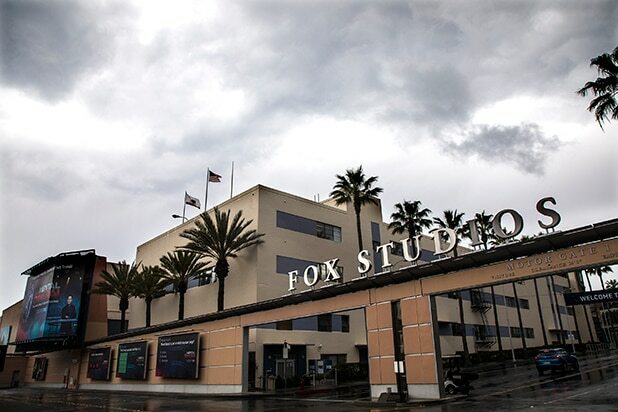 The marketing team at the studio was also gutted and the Fox 2000 label, run by Elizabeth Gabler, will shut down after its films that are currently in production are done. Now, those who still work beyond that big banner are in “wait and see” mode, one employee said. “When you reached out to me this morning nothing had changed and about an hour ago everything changed,” a Fox film executive told TheWrap on Thursday. The executive remembered scrambling to inform employees of the coming bad news via video conference, only to have a news story break it first. “I give [Disney] credit for having our guys in HR make the call, rather than getting that call from some stranger, but that’s about all I give them credit for,” the executive said. “That really hurts,” the employee said. People on the TV side feel “very much in the dark” about what will happen next, even as the film department was “licking its wounds” Friday, another employee said. The biggest TV executives to lose their jobs so far were 20th Century Fox Television Distribution president Mark Kaner and Twentieth Television president Greg Meidel. The employee said 20th TV veterans were “walking on eggshells” trying to make a good impression on their new Disney bosses. But the employee was confident TV would be spared many more layoffs since Disney has already said senior Fox veterans Peter Rice and Dana Walden, will have leadership roles post-takeover. Walden will serve as chairman of ABC Entertainment and the newly named Disney Television Studios, which encompasses ABC Studios, ABC Signature, 20th Century Fox TV and Fox 21. John Landgraf and Gary E. Knell, who serve as the chairs of FX and Nat Geo Partners, respectively, will report to Rice, who is chairman of Walt Disney Studios and co-chair of Disney Media Networks. Warner Bros. veteran Craig Hunegs was hired to run the newly-combined Disney Television Studios. It was announced months ago that Ben Sherwood would exit as co-chair of Disney Media Networks and the president of the Disney-ABC Television Group. In a memo to staff on Friday, Hunegs called out individual studio heads — Patrick Moran at ABC Studios, Jonnie Davis and Howard Kurtzman at 20th Century Fox TV, and Bert Salke at Fox 21 — a strong sign they will remain in their posts. “Dana is assuring her direct reports they are safe and wants to keep them happy during this transition,” the person said. On the film side, Emma Watts, as well as several other Fox film executives, will make the move to Disney’s studio entertainment management team. Watts will report directly to Disney studio head Alan Horn and will serve as vice chairman for 20th Century Fox Film and president of production at Fox. Nancy Utley and Stephen Gilula will stay on as co-chairs for Fox Searchlight and will also report directly to Horn. Elizabeth Gabler will serve as president of production at Fox 2000 — for as long as there is a Fox 2000. Umberto Gonzalez contributed to this story.